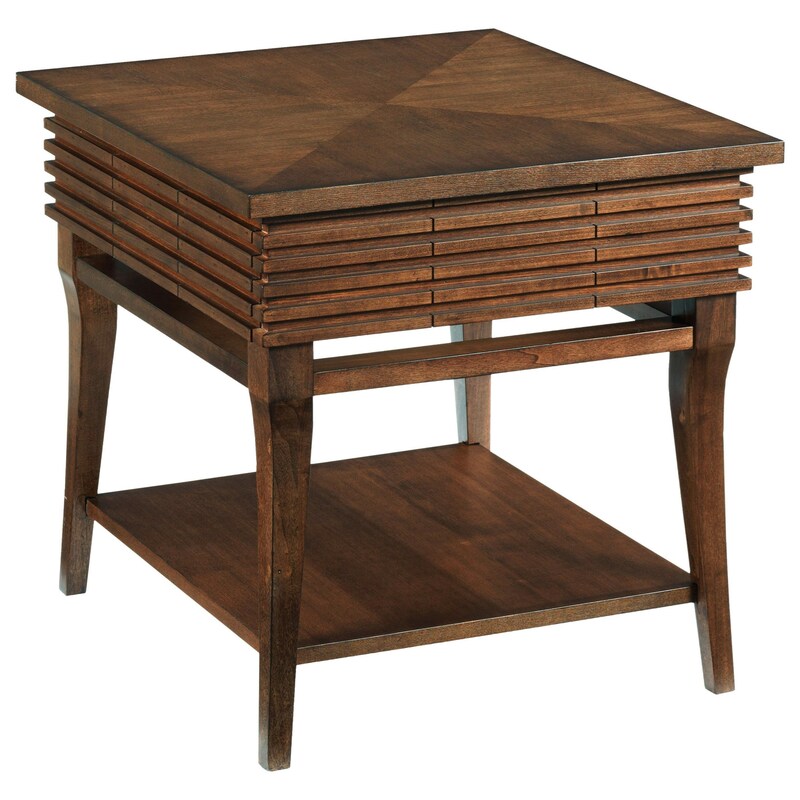 Bring classic style with a sophisticated twist to your living room with this rectangular end table. The Groovy End Table by Hammary at HomeWorld Furniture in the Hawaii, Oahu, Hilo, Kona, Maui area. Product availability may vary. Contact us for the most current availability on this product. Find the perfect accent pieces for your living room or family room right here! Grooved side panels and sabre legs offer a touch of classic design while the simpler frames of each table keep them modern to match today's home decor. Find a variety of features like casters to easily move tables and change your space or hidden power bars to conveniently plug in items and charge devices. The Groovy collection is a great option if you are looking for Mid-Century Modern Transitional furniture in the Hawaii, Oahu, Hilo, Kona, Maui area. Browse other items in the Groovy collection from HomeWorld Furniture in the Hawaii, Oahu, Hilo, Kona, Maui area.